Exfoliation with salt crystals combined with a moisturizing massage for an express beautifying treatment that leaves the skin soft and silky. 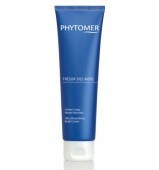 Results: Luminous, moisturized and relaxed skin. "This treatment is the perfect starting point for a course of one or several body treatments. It is an ideal way to ensure that the skin is in optimal condition to benefit from contouring and firming programs. Properly exfoliated and free from impurities, the skin is much more receptive. Ingredients are more effectively absorbed making the treatment even more efficient. 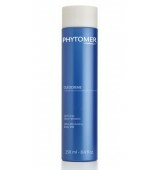 It is also an ideal first stage before the application of a self-tanning treatment to ensure an even skin tone." An absolute well-being sensation with this serum that relaxes points of tensions, calms and increases synthesis of β-endorphins. 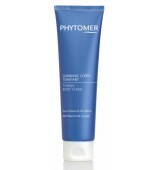 A gentle and effective exfoliation coupled with an intake of minerals and trace elements essential for an healthy skin. A luscious milk-cream that rapidly penetrates the skin to moisturize and intensely nourish the body and comfort skin that feels tight..